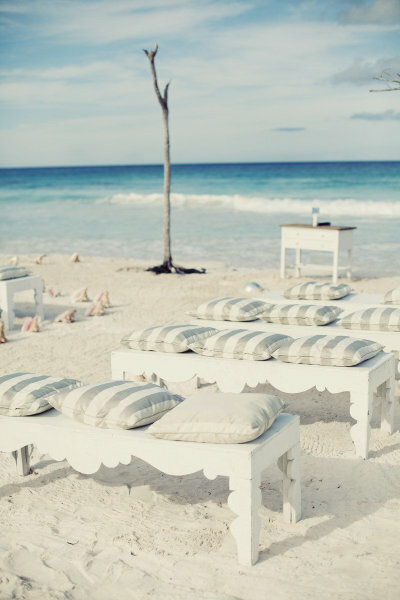 Working on the beach decorations for a wedding reception? Well, you can create the ultimate beachy decoration and a classy ambiance by implementing the ideas give below. Decide a color theme, grab the decor pieces and get started! 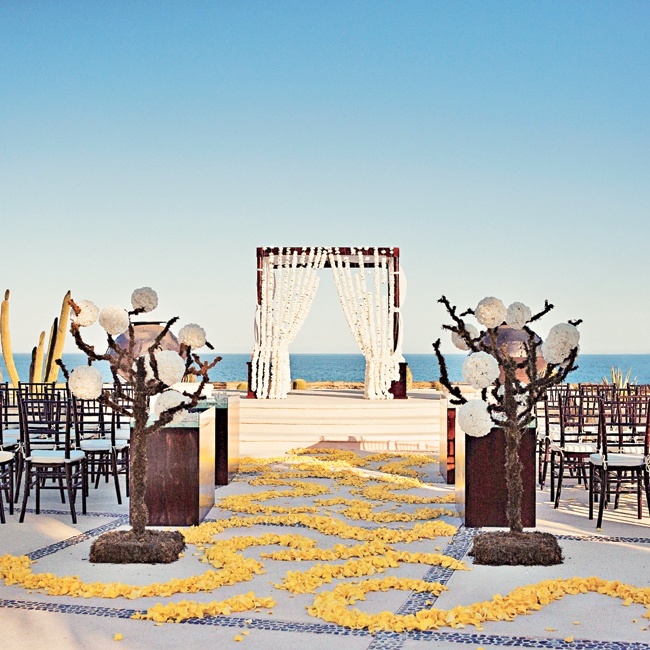 A beach-themed reception can be classy and casual celebration with a wonderful backdrop. Planning a beach reception can be an easy task as you have a bunch of accessories available to create the perfect looking space here. Beach weddings are a favorite of many individuals due to the awesome ambiance and the well complementing decorations which further heighten the overall beachy effect. Find easy, yet romantic beach wedding reception decoration ideas here and get set to create a cool and classy reception area. When you plan to work on the beach-themed decorations, there are a number of options in decor pieces which you can utilize to jazz up the space. While choosing the accessories and decor items try to follow a color theme that will give a well-defined look to the decorations. This will also help you choose the right decoration items and arrange them well. Go for theme color combination like light blue and green, light blue and white or blue and silver. Start the decorations by creating a grand entrance. You can have a flower or balloon arch at the entrance. Using a white tulle or long white sheers to grace the entrance is a popular idea. Add blue long lace or ribbon along with sheers. One of the ideas is to add a well-defined walkway that starts from a distance and takes you towards the grand entrance. Further continue the walkway till the gazebo. 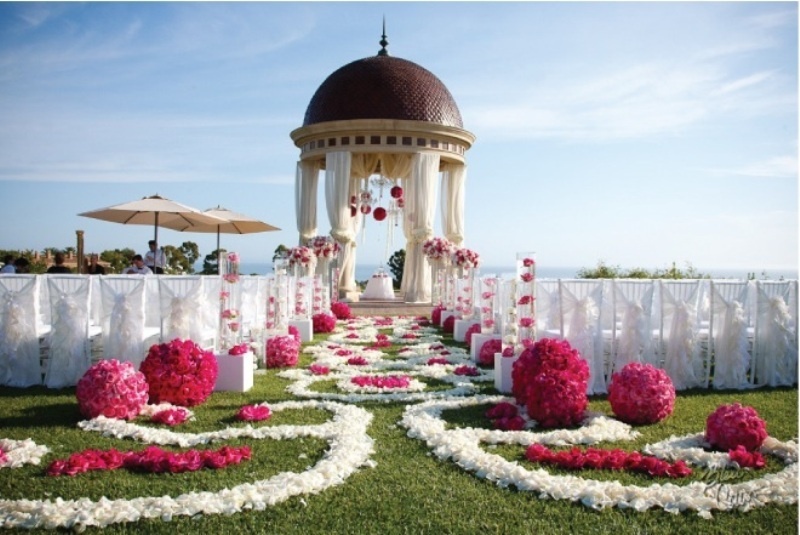 Adding a gazebo is a good option as it offers a lovely space specially designed and decorated for the couple in-between rest of the decorations. A gazebo need not be grand in terms of design and decor, but this structure must definitely stand out amongst the other decorations. You can simply use wooden poles to form an open gazebo which can be adorned with golden tulle and white sheers. Gather the fabrics at mid point of the pole and add a bunch of fresh flowers at this point from each side. Repeat the same decoration for each pole. The walkway that goes towards this gazebo can be adored with round lamps if it's an evening reception. For daytime reception, install poles on each side of the walkway. Now run a colored or white tulle from the first pole till the last pole and further adorn each pole with a bunch of colored and white flowers or balloons. While implementing various ideas, you can't forget the seating area. When you have a lovely walkway and a gazebo standing at the end of it, the best idea is making seating arrangements on both sides of the walkway. Arrange tables at equal distance in this space. Make sure that you do not create a cluttered effect with too many tables. An important point to be kept in mind while working on the seating arrangement is to keep it spacious. Cover up the round tables with stain cloths and add colored napkins. Chairs must be graced with elegant satin chair covers and further spiced up with a colored tulle or fabric bow. Table centerpieces need no mention as these are one of the primary accent pieces in the decor. Centerpieces, as mentioned above are important elements which you can't miss out while working on the reception decorations. You can have one or two small centerpieces for each table and larger ones can be placed at the entrance, at each pole of the gazebo structure. 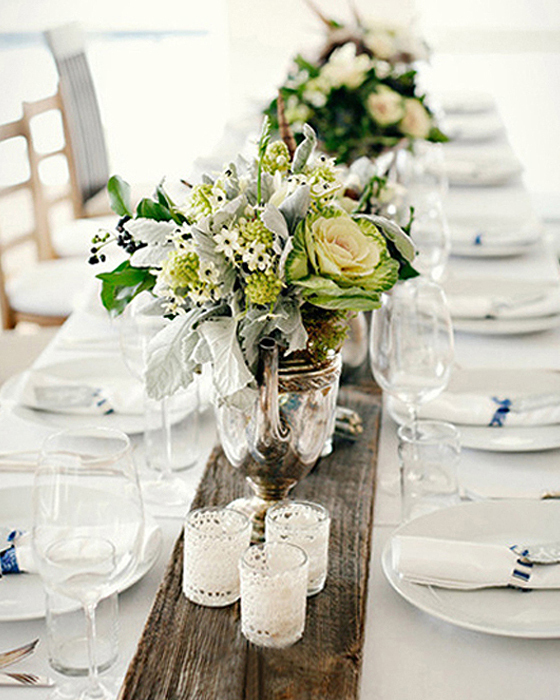 Taller centerpieces or decor items can be used to fill up the empty areas. You can use flowers, petals, decorative shells, starfish, candles, sand and many more such items together, along with glass vessels and vases to form lovely centerpieces. Round, cylindrical, square and many other designs in glass vases can be used for these centerpieces. With the aforementioned ideas, get ready to create a wonderful area for this occasion. You can add many more ideas and accent pieces to make some beautiful decorations for this reception. Plan well, collect the essentials and get set to work on the decor!